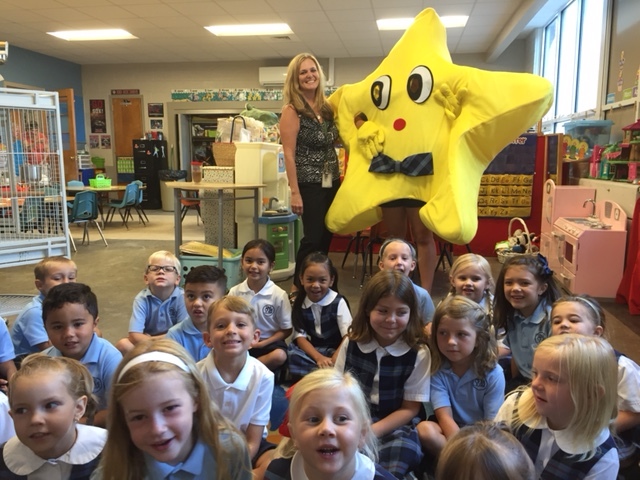 Did you know that tuition only covers roughly 80% of costs to operate Star of the Sea Catholic School each year? It is essential for Star of the Sea to depend on this range of financial support, not only for the day to day operation, but to keep tuition affordable, offer tuition assistance, update the facility and continue program enhancement, from academics to technology to athletics. We rely on the long tradition of generous giving and support from our Star of the Sea parents, alumni, grandparents, parishioners, community leaders and businesses, as well as our dedicated faculty and staff to supplement tuition and help to keep Star of the Sea leading the way to excellence. According to Virginia’s new Education Improvement Scholarships Tax Credits program, donations to approved foundations will provide scholarships for low-income new students at non-public schools. More information on the program is available on the Catholic Diocese of Richmond McMahon Parater Foundation website. There are many ways to give to Star of the Sea Catholic School as a non-profit 501(c) (3) organization. All contributions are fully tax-deductible to the extent allowed by the law. Giving should not only provide benefits for the organization receiving the donation, but also for the donor. On behalf of Star of the Sea, we thank you in advance for all that you and your family will do this year. Help Us Earn Free Money for Our School! Click here to support our school when ordering through Amazon.